Snowball cookies are a wonderful classic Christmas cookie that will take you back to your childhood! These holiday cookies are sometimes called Russian teacakes or Mexican wedding cookies. No matter what you call them, they are a wonderful holiday treat! When I think back to my childhood Christmas memories (during the 80’s—saying that makes me feel old! ), I always envision a big, ornate plate of holiday treats. That plate always included a pile of these delicious snowball Christmas cookies! 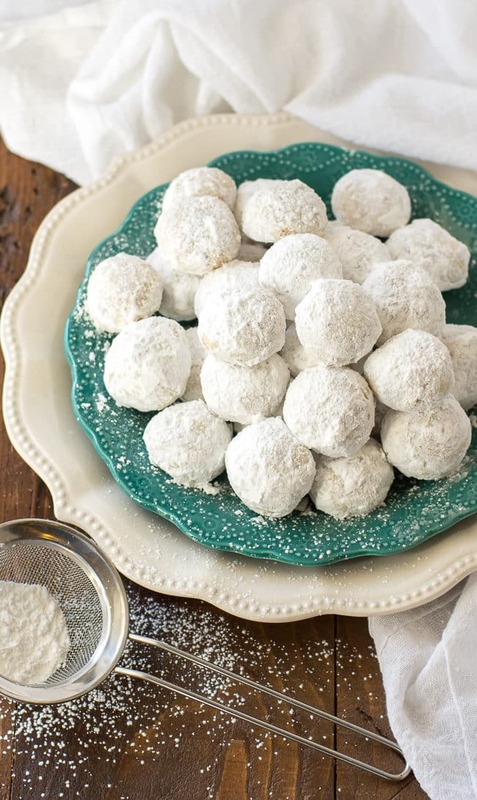 Snowballs have always been a family favorite and I’m really happy to be sharing my recipe for classic pecan snowball cookies with you just in time for the Christmas season. You may have heard them called Russian teacakes or Mexican wedding cookies, but for my family, they were always just snowballs. 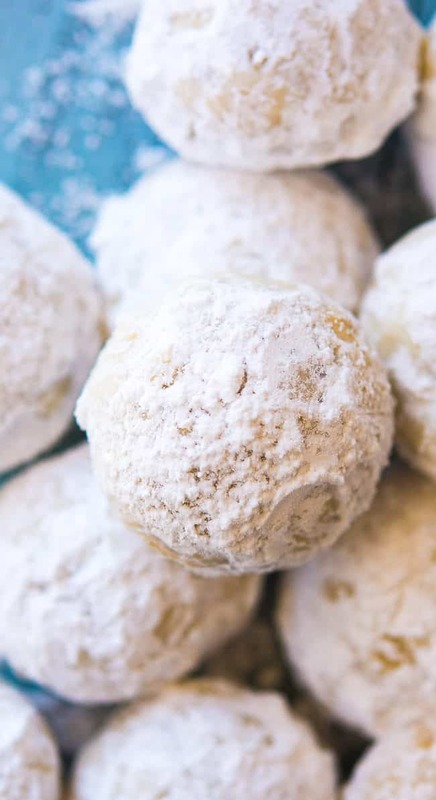 These classic snowball Christmas cookies are made up of everything delicious about any good cookie—plenty of butter, powdered sugar and vanilla. 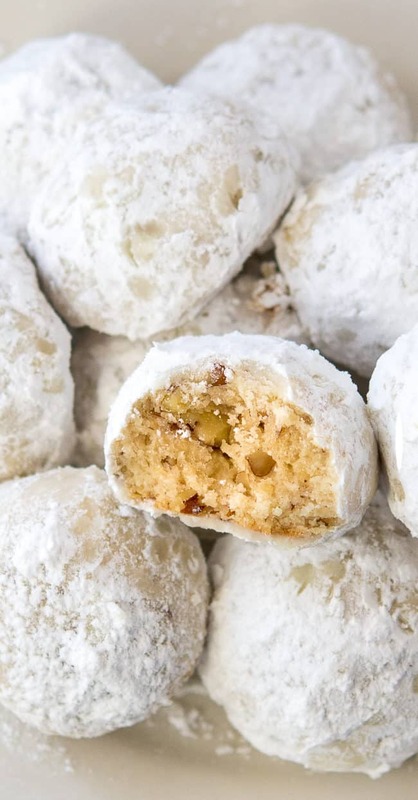 I’m also a huge fan of the chopped pecans in this snowball Christmas cookies recipe because it gives the snowballs a little crunch to go along with that delicious, buttery flavor. I love making these classic snowballs and putting together the kind of holiday treat cakes that I remember from my childhood. They are also great to make and add to small, decorative holiday tins to give away to friends, family or coworkers. 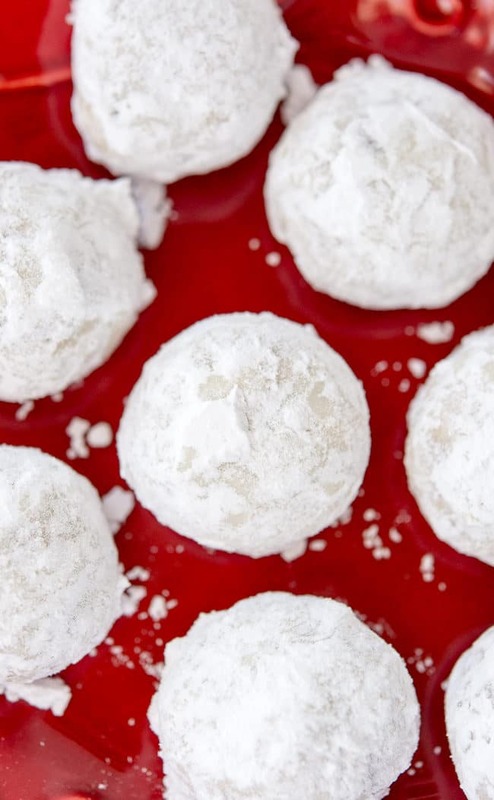 Making holiday snowball cookies is easy. To start, you’ll need the following ingredients. 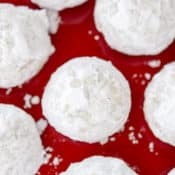 Be sure to check out my complete snowball cookies recipe below, and don’t forget to leave a comment letting me know how you make your snowballs unique! Snowballs are truly one of my favorite Christmas cookies. They are right up there with my other favorite holiday cookie, these raspberry almond shortbread cookies. If you’re looking for another classic Christmas cookie that would fit in nicely on that Christmas cookie platter, try my chocolate crinkle cookies recipe and my crowd-pleasing gooey butter Christmas Cookies. 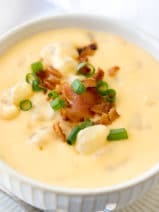 If you haven’t checked that recipe out yet, what are you waiting for? 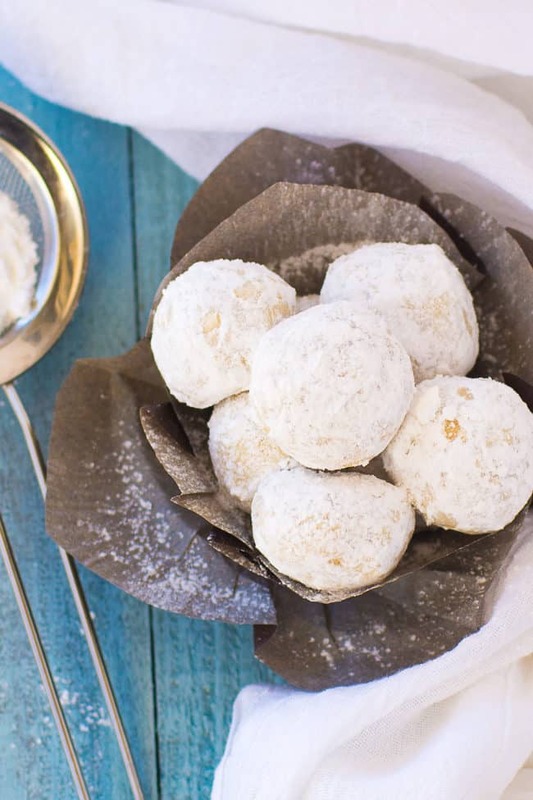 These delicious snowball cookies are a Christmas classic that you don’t want to miss! Preheat oven to 350 degrees. 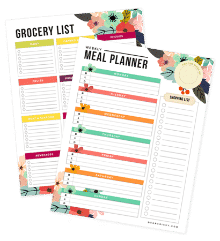 Line cookie sheet with parchment paper or use ungreased. 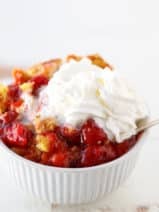 Using an electric mixer cream together the butter and the ½ cup confectioners sugar until light and fluffy. Beat in the vanilla extract. Add the flour and the salt and beat until well combined. Stir in the nuts. Form dough into 1 inch balls ( about 1 tablespoon) and place 2 inches apart on cookie sheet. Bake 12 to 15 minutes or until edges just start to brown. While the cookies are still hot, roll them in the confectioners’ sugar. Cool and roll a second time or sift the remaining sugar over the tops using a strainer. Cool completely before storing. 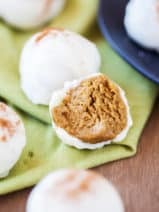 I love the snowball cookies and in mine I add a teaspoon of almond flavor which is my favorite. My son doesn’t like cake, but he loves these cookies. 2 batches made , cooked 1 and froze 1 batch for him to cook when he wants them. I make these cookies every year since i started making cookies (1980’s) My family likes them .. but every year saying they can do without .. But its not Christmas till i make these .. I think the most difficult about these, is rolling them in powdered sugar after they come out from oven… Waiting till they are cool so they do not clump .. 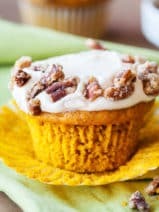 I do not use nuts because of nut allergy. 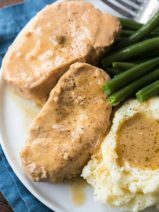 The recipe says it makes 24 servings. How many dozen cookies? One of my favorites.. They look so yummy! Thank you Crissy… Merry Christmas! These were the Mexican wedding cookies of my childhood. Thanks….. I followed all the steps in this snowball cookie recipe and the middle are still not done. I didn’t notice it until all of them were rolled in powedered sugar. Any suggestions on how to fix them? Can I just put them back in the oven to cook a little longer. FYI I did cook them until they were a little brown. i wanna make these this weekend! do you use salted or unsalted butter? I plan on making these soon and want to pass them out from now until Christmas. Do you know for how long they will stay fresh? Can I freeze them and then let them thaw right before handing out if need be? Thanks!